Welcome to the latest update from your Number One radio station. RRG Peugeot are your local Peugeot dealers for the Oldham and Rochdale area. We're delighted to bring you news of some fantastic offers available right now to 96.2 The Revolution listeners. If you are looking for a quality, approved pre-owned Peugeot, now is a great time to buy as RRG have some fantastic offers available. 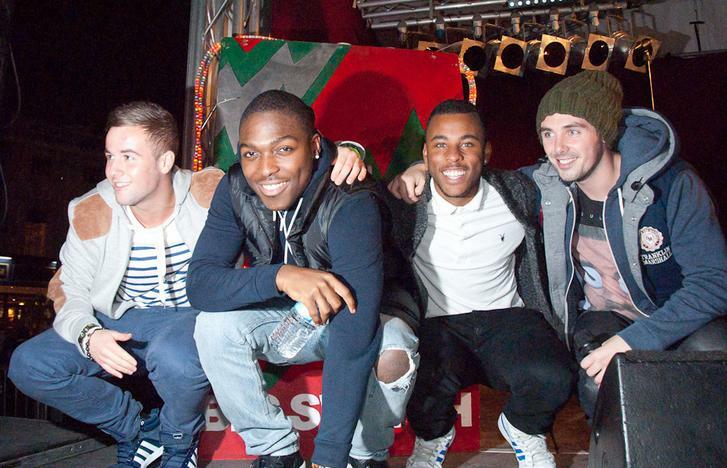 96.2 The Revolution's Elliot Eastwick and Gareth Bird hosted the Big Lights switch-on in Rochdale on Saturday. Check out the photos by clicking on the photo to the right. Acts appearing on stage included boyband Eli Prime, Joe Cox, Alexa Goddard, Rochdale's own Jade Hegarty and X-Factor Finalists The Risk! Plus the cast of Aladdin from Middleton Arena. We're delighted to welcome Direct Discounts as the new sponsor of our hourly time checks. This means that every hour, 24 hours a day, you'll be reminded of the fantastic range of goods and unbeatable prices at the Direct Discounts showroom on Manchester Street, Oldham. Check out the Direct Discounts website and buy online by clicking on the image to the right. Here at 96.2 The Revolution we’ve teamed up with the brand new TESCO store in Blackley to give you the chance to win everything you need for Christmas! How would YOU spend £500 if you were our lucky winner? Pre-register by completing our online entry form. From Monday December 5th National Express, the largest scheduled coach service provider in Europe, becomes the new sponsor of our 'flagship' weekday Breakfast Show. Start your holiday in style with National Express. New, faster, more frequent services to Liverpool and Manchester Airports from Oldham and Rochdale. Find out more by clicking here. This Christmas we're giving you the chance to say "Merry Christmas"" to your customers. We'll script and produce your message and broadcast it 40 times for LESS THAN £200! Keep listening to The Revolution for more details or jump the queue by clicking on the Christmas card to the right. Got an iPhone or iPod Touch? You've gotta get the 'Rev App'. It really is amazing. For a single purchase price of just 59p you get loads of great features: Stream the station 'live' wherever you go; See the songs we've just played - and buy them; Get the latest Traffic and Public Transport info updated every 5 minutes around the clock; Interact with us direct from your iPhone via email, text, Twitter or Facebook; Catch up with the latest News; See our local What's On Guide...and MUCH more! From everyone at The Revolution MERRY CHRISTMAS and here's to a happy and prosperous 2012.